Huawei’s Mate 20 and Mate 20 Pro may already be impressive handsets, but the company has also announced two additional variants. The Huawei Mate 20 X is designed for gamers with its massive screen and battery, while the Huawei Mate 20 RS Porsche Design offers a more premium look. The Huawei Mate 20 X borrows its design language from the regular Mate 20. It comes with the same “dewdrop” notch on top of its display and a rear-mounted fingerprint scanner. However, the display on the Mate 20 X is a lot bigger at 7.2 inches and it’s also an AMOLED panel instead of an LCD. The AMOLED display comes with a screen resolution of 1080 x 1440, but it doesn’t offer a 120Hz refresh rate like the Razer Phone. Inside, the Huawei Mate 20 X is powered by the Kirin 980 chipset with the Mali-G76 GPU along with 6GB of RAM and 128GB of internal storage. Since Huawei is marketing this handset as a gaming phone, it also comes with its own cooling system to keep it cool under heavy loads. The company is using a graphene film cooling technology on the handset along with a vapor chamber design, according to The Verge. The Huawei Mate 20 X is also the variant in the new lineup that features the largest battery capacity of 5,000mAh. The company didn’t reveal numbers for its battery life, but a capacity of that size should be more than enough for long gaming sessions. Since Huawei is heavily promoting this as a gaming phone, the company is planning to release a gamepad that attaches to the sides of the handset. It would clip to the sides much like how Nintendo’s Joy-Con controllers are attached to the Switch hybrid console. Additionally, the Mate 20 X will be compatible with the company’s own M-Pen stylus, which will be sold separately. As for cameras, the Huawei Mate 20 X has the same setup as the Mate 20 Pro. On the back, it will have a triple-camera setup with a 40MP standard lens, a 20MP ultra wide lens and an 8MP telephoto 3x zoom lens, according to GSM Arena. The device also comes with Dolby Atmos dual stereo speakers, which should also be great not just for gaming, but for other forms of entertainment. The Huawei Mate 20 X will be available starting on Oct. 26 and it will cost €899 or around US$1,040. 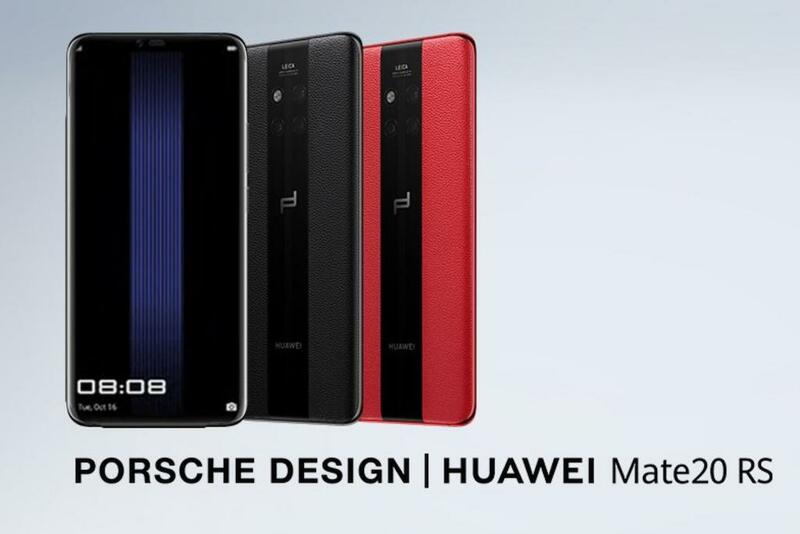 The Mate 20 RS Porsche Design is the most expensive variant out of Huawei’s new family of flagship smartphones. The handset is like a fancier version of the Mate 20 Pro with its leather trimmings on the back. The handset will be available in red and black color options. Although it shares the same CPU, GPU, cameras and set of features with the Pro model, the Mate 20 RS Porsche Design comes with 8GB of RAM and 256GB/512GB of internal storage. The handset will be released sometime in November and will retail for €1,695 (256GB model) and €2,095 (512GB model). Next article A Momentous Election in Brazil: What's at Stake?